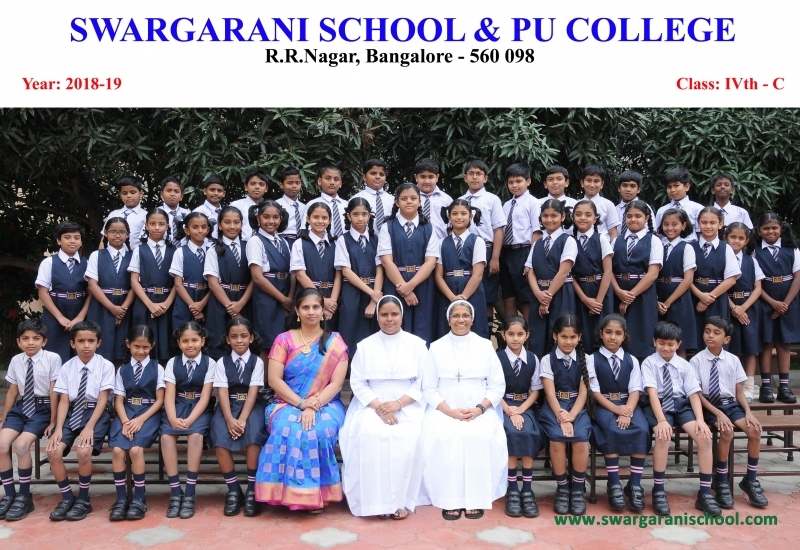 Established in the year 1997, Swargarani is the result of the untiring efforts of its founders run by the Sisters of Visitation Congregation. 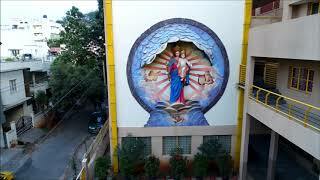 The school follows the philosophy of selfless service. We motivate and prepare the student by laying a strong foundation to lead a balanced life by strengthening their positive approach to life, intellectual competence, value consciousness and social commitment. Swargarani School and PU College gives itself abundantly and plays a key role in helping dreams come true. 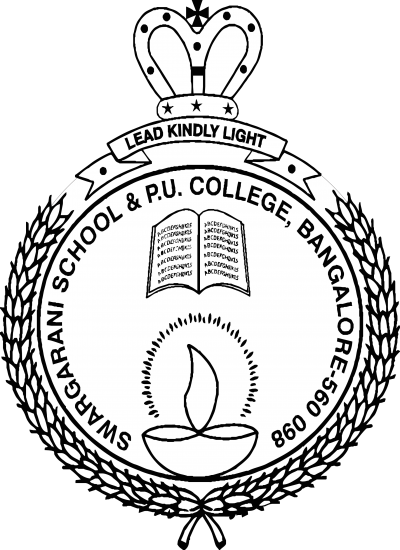 The School embodies the very essence of its motto “Lead Kindly Light”. The learning it imparts, the opportunity it provides or the sterling values it encourages, Swargarani strives to provide a life of enriched experience to the students. Synonymous with brilliant academic results, Swargarani is constantly evolving and works upon the conviction that a new vision is vital for its young members. It aims at creating an atmosphere of friendliness and intellectual curiosity, thus nurturing a generation of progressive young men and women, prepared to embrace changes in the future as an opportunity rather than a treat. 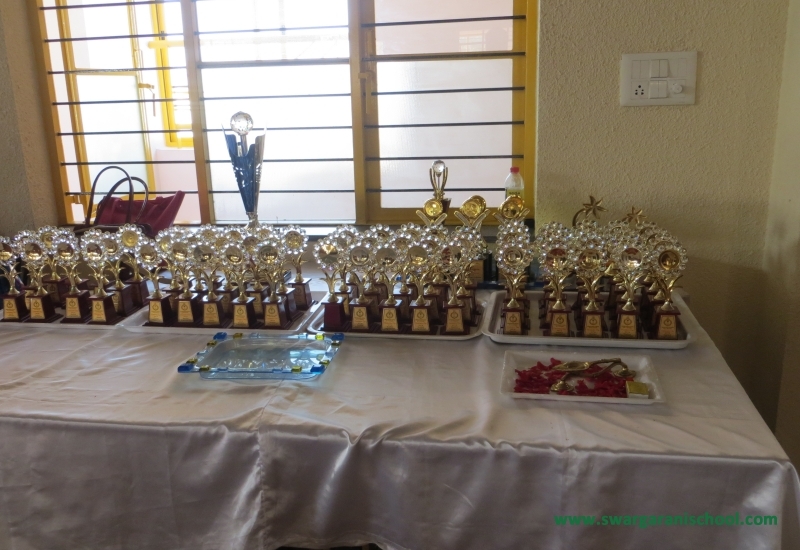 The outstanding performance of the school is evident from the innumerable laurels achieved in various competitions. The spirit of participation, discovering inborn talents, the pleasure of winning, the lessons of failure are all a part of the personal growth needed for the highest development of the young mind. 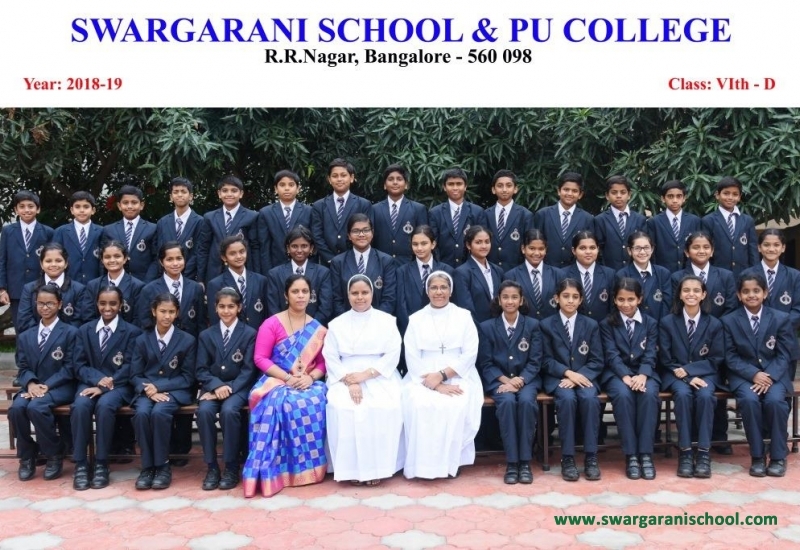 Swargarani is ranked among the top few schools in Bangalore on the basis of its exemplary results; our unrelenting pursuance for excellence is reflected in the consistently commendable performance of our students year after year. 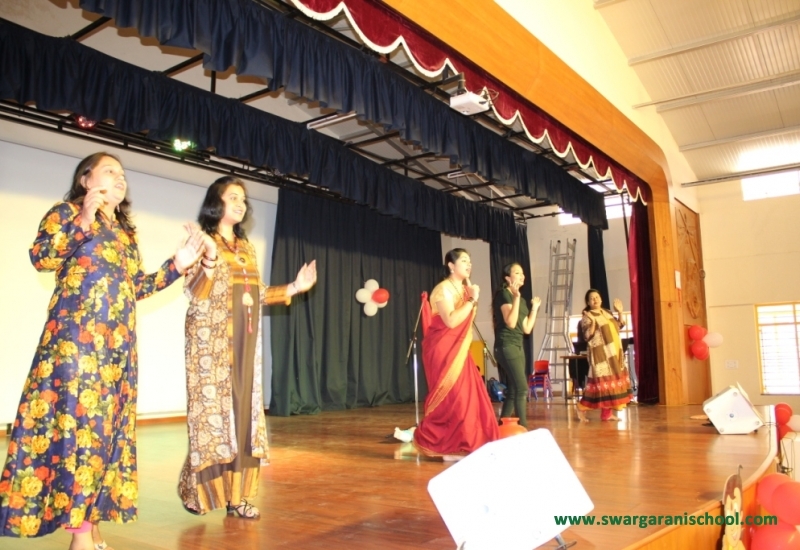 Swargarani's aim is to educate young men and women, to mould into mature persons who are proud to be Indians, individuals who are kind, compassionate along with human excellence and who also aim at academic excellence. Hence a balance of academics as well as cocurricular activities is emphasized. “LEAD KINDLY LIGHT” We believe in giving young minds the encouragement, freedom, facilities and resources to lend a hand believe in their dreams. Swargarani equips the students with advanced knowledge and skills in their chosen vocation and provide value based education and opportunities to students to help them face challenges in life. Students of Swargarani will be challenged to venture into new ways to push the limits of learning to the furthest possible extent in the new millennium. Students will create new possibilities, new knowledge and demonstrate new ways of doing things. The school functions on regular days i.e. from Monday to Friday from 8.00 am to 2.35 pm and the day comprises of 8 periods. Every Wednesday from 11.40 to 12.45 the students enjoy various extra curricular activities that are held around the school with professionals. As parents we feel blessed and consider Swargarani as the second home for our little Ranians.That\'s the sense of belongigness and uniqueness about the school where we see rising stars.At Swargarani, we feel secured as the young budding talents are nutured with high moral values along wiyh academic excellence. Thank you for being the guiding light and for caring our children shine to the fullest. Swargarani school, A place where children are groomed, motivated and disciplined to be wonderful citizens. We are happy at the way our two children are shaping up. Good importance is given to studies. Pricipal and teachers are dedicated and approachable. 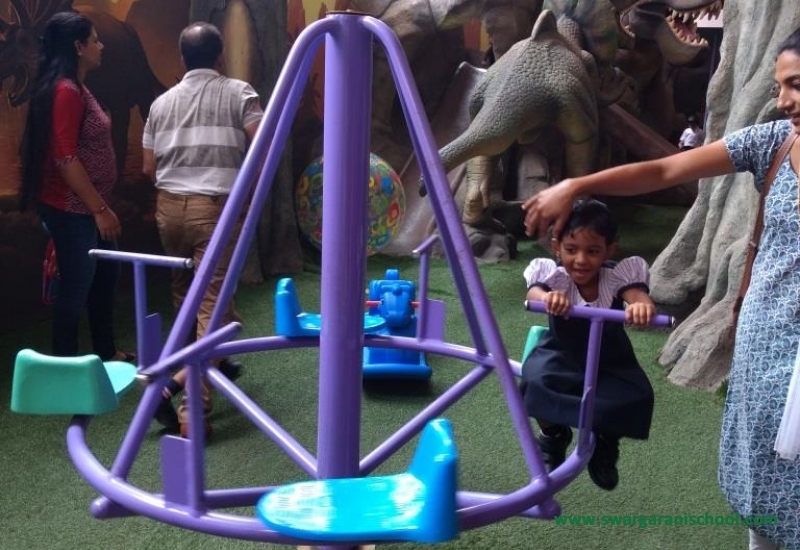 Overall a good institution, working towards the holistic development of the children. 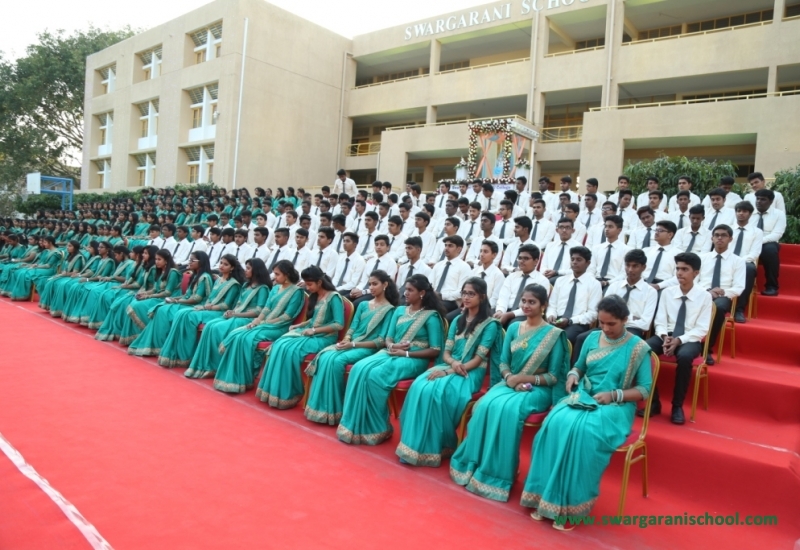 I am a mother of three children who have studied and graduated out of Swargarani school with high marks.The school provides wholesome care and gundance for all the wards.I am extremely happy that I was able to send my children to this school.Academically and aesthetically I am thankful to Swargarani for bringing up my children. Swargarani not only expertises our children in their academics bot also implants good discipline ,good conduct, sharing and caring the needy.Sisters of Swargarani always embed good and positive thoughts in each and every Ranian.So Ranians are with best knowledge,positive thoughts and good character forever.I feel very proud that my daughter is blessed to bloom in such an energetic and wonderful school.